More St. Joseph architecture photos here, via Flickr. 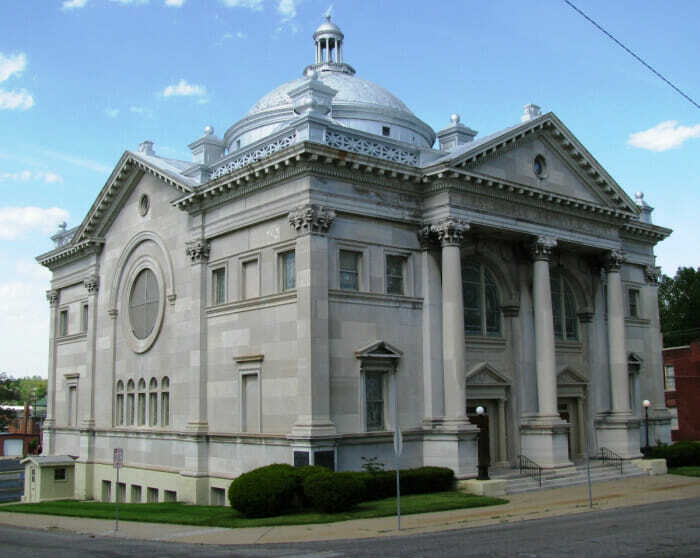 St. Joseph, Missouri, is one of America’s best-kept secrets for historic architecture. Founded in 1843, St. Joseph quickly grew to become one of the most important sites of commerce and trade for the western continent. Early on it was at the forefront of advances in transportation and communication. The Pony Express, transcontinental telegraph, a convergence of early railroads and the Missouri River Bridge made St. Joseph a center for western commerce and trade. During the Victorian Era, St. Joseph was a major manufacturing center and attracted labor from as far away as Eastern Europe. Products such as Aunt Jemima Pancake Mix, Premium Saltine Crackers, St. Joseph’s Aspirin, Big Chief Tablets, Cherry Mash Candy and Country Club Beer are just some of the products first produced in St. Joseph. Vast wealth generated by St. Joseph’s manufacturing and wholesale trade is reflected in our city’s extraordinary architecture. Architects working here in the 19th century studied at the finest schools in Europe and America, such as Paris’ Ecole des Beaux-Arts. Their works in St. Joseph reflect the heights of fashion and design of the 19th and early 20th centuries. St. Joseph’s early progressive attitude toward public improvements also shaped our community. We were among the earliest American cities to have electric telephone service, and electric streetcar system, and a municipal airport. For a few years, St. Joseph even had more miles of electric streetcar lines than New York City. The city also built an extensive network of parkways and boulevards beginning in 1912 under the vision of famed landscape architect George Kessler. 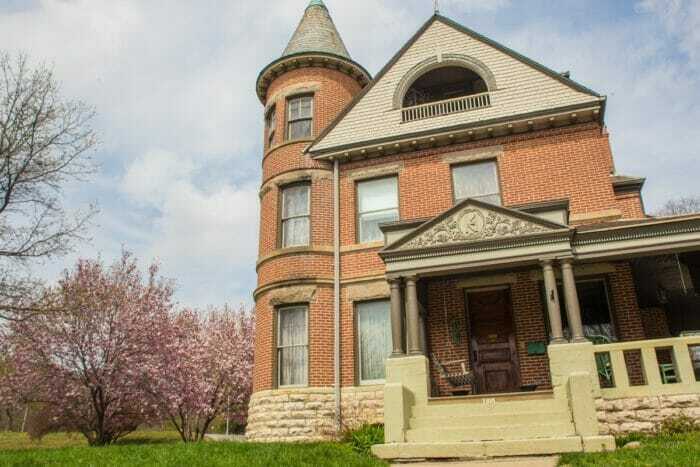 Many of the historic neighborhoods in St. Joseph have worked hard together to preserve and maintain the beautiful properties, and each one has its own unique experience. Read about some of them below and then feel free to explore the majestic architecture that makes St. Joseph so exceptional. Located in historic Mid-Town, this mixed residential and commercial district showcases a wide variety of architectural styles including Greek Revival, Italianate, Romanesque Revival, Queen Anne, Colonial Revival, Tudor Revival, and Craftsman. There are several fine examples of the work of E.J. Eckel in the district. Historic details abound; if you look closely, you’ll find original limestone and granite curbing, herringbone sidewalks, concrete street markers (installed ca. 1920), iron fencing, and substantial stone retaining walls. Many outbuildings survive including carriage houses, garages, and one summerhouse. Most of the historic structures were built between 1860 and 1940. 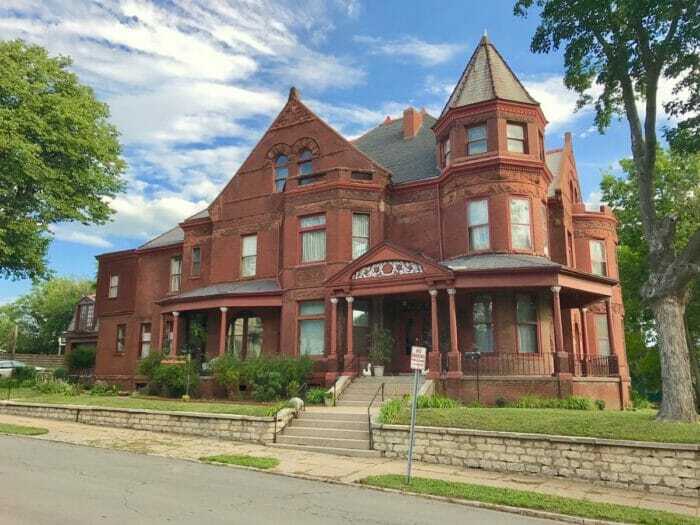 The Museum Hill Neighborhood, located east of historic downtown, is a mixed residential and religious district that has at its heart some of the most fabulous mansions and churches in the city. There are many styles of architecture to be found in the district, but the most common is Victorian Style (Italianate, Second Empire, and Queen Anne). 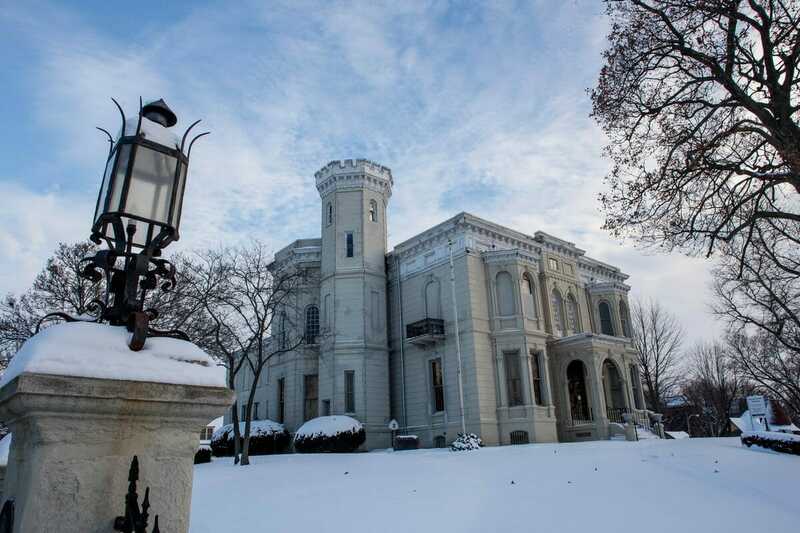 Its showpiece is the Wyeth-Tootle Mansion, (12th and Charles streets) which is part of St. Joseph Museums Inc. and is the only historic mansion and gardens in the city open to the public (mansion is open weekends April-Oct., and the gardens all year). 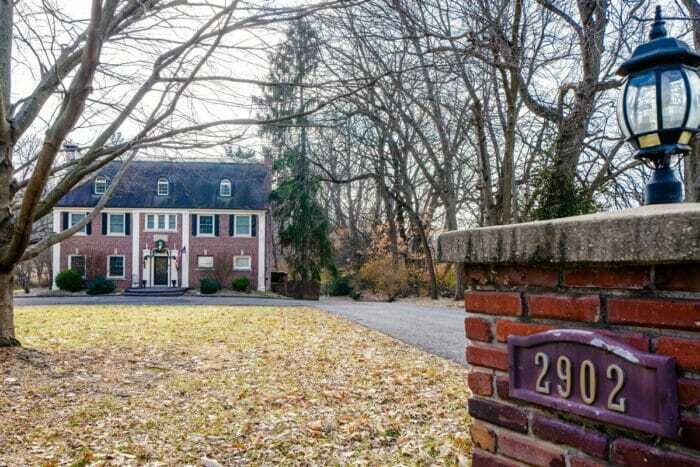 Many of St. Joseph’s most prominent families were attracted to this area by the opportunity to build on the hill and take advantage of wonderful views. Krug Park Place is in the North End of St. Joseph and sits adjacent to the wonderful park from which it gets its name. Originally designed to be difficult to reach to be more exclusive, it was one of the first planned subdivisions in the City. The neighborhood is characterized by substantial houses sitting on generous lots with lovely landscaping. The district is small (only about 18 principal buildings), but quite lovely. It is a good place to begin (or end) your exploration of the Parks and Parkways. This area of the city was made famous by Eugene’s Field’s poem “Lovers Lane, Saint Jo,” a commemorative marker at Northwest Parkway and Lovers Lane immortalizes the poet. Today, the area is one of the loveliest in the city, characterized by homes in a wide variety of architectural styles. The streets are lined with mature trees and some of the most impressive landscaping in St. Joseph is to be found in this area. The neighborhoods along the bluffs north of historic downtown St. Joseph are collectively known as Old Town North. 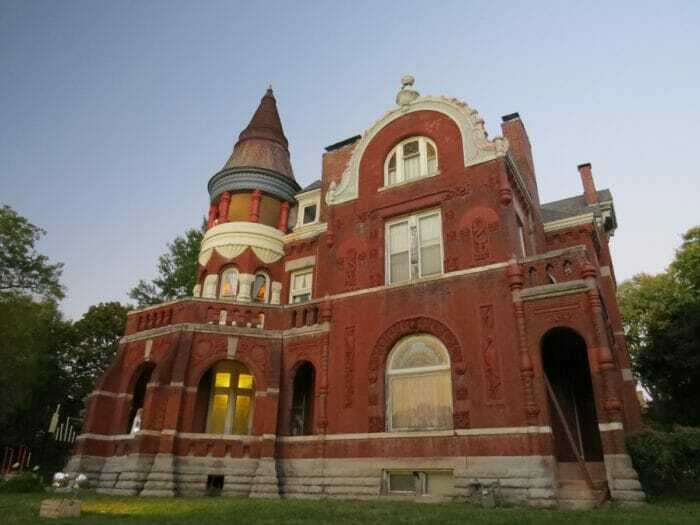 The area includes three National Register districts (Cathedral Hill, Hall Street, and Robidoux Hill), our historic Mount Mora Cemetery, and the founder’s house, which is now a museum called Robidoux Row. 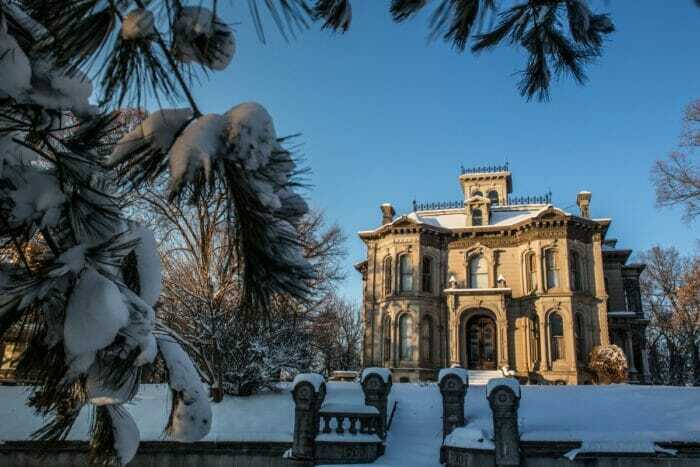 Along the streets of Old Town North, you’ll find a diversity of architectural styles, ranging from extraordinary palatial gilded-age mansions, to stately single-family homes and duplexes, to the most modest workingman’s residences. 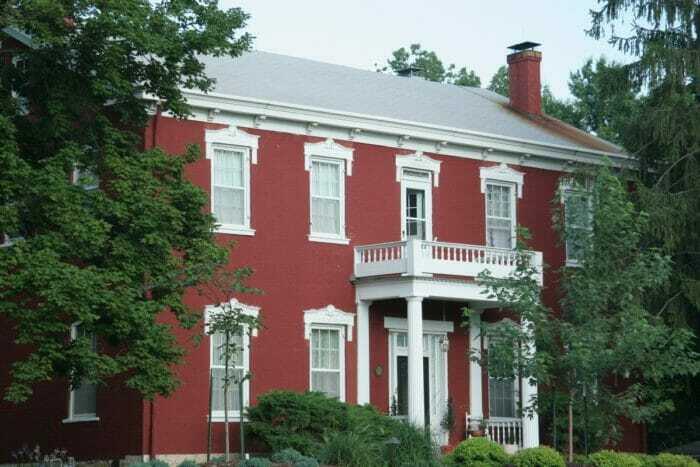 This district is also home to the only documented slave quarters known to remain in St. Joseph.